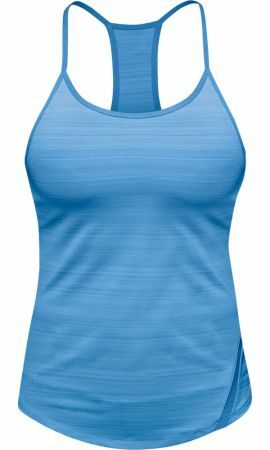 Look good, feel good; a modern, tonal striated pattern and sweeping shirttail hem make the insignia racer tank a standout in the category. The racer back design and ultra light-weight, sweat-wicking, four-way stretch fabric provide unrestricted range of motion and an unforgettable fit. Power mesh Binding and Inset Panel: Provides attractive design elements. No Insignia Racer Tank Reviews Found.